The village of Namasakata near Tunduru was the original site for St Cyprian’s College. This land has a few buildings that remain on the land and can be incorporated into the new development. This is the village meeting in August 2014 where the village was delighted to hear of the plans for a girl’s school to be built on the site. Young people from Masasi have already volunteered their time and energy to make cement bricks to begin construction. The education of girls is still a very important area of development in Tanzania and a girl’s school will be welcomed with open arms. 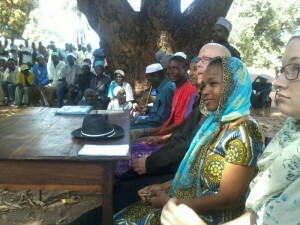 This project has been supported with aid from Canada. It is with sadness that we bring news of the death of Canon Prebendary Walter Gould. Walter was an amazing man with an unflappable manner and steadfast love for the people of Tanzania. He had immense knowledge and was a great supporter of agricultural techniques that can preserve the environment and also increase yields and avoid pests and disease. Here he is receiving a plaque from Rev Fr Linus Buriani who visited him in Hereford. Walter will be sadly missed for his wisdom and ever smiling optimism. This month Canon James Barnabas Almasi has been elected to serve as the 9th bishop of Masasi. His consecration will take place on September 21st at Mtandi Cathedral and representatives from many areas of the world will attend, along with the President of Tanzania. 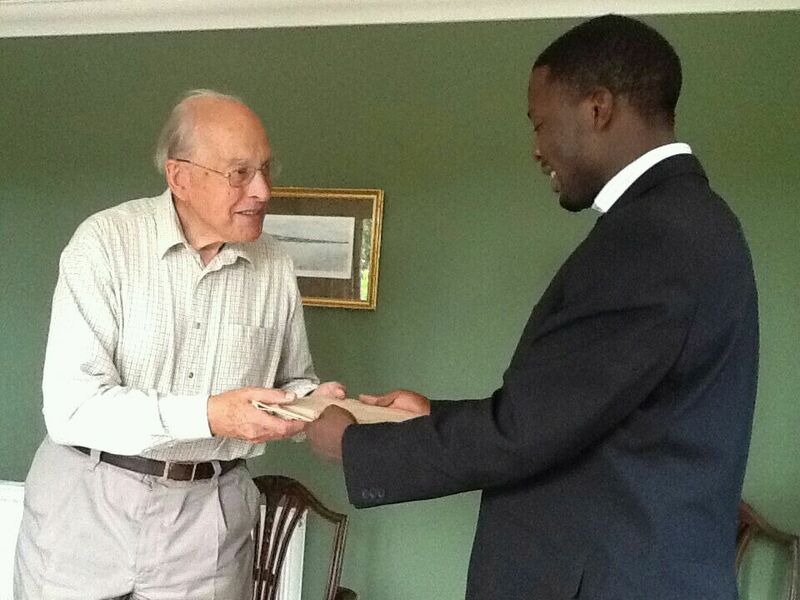 James has served in several Masasi parishes and also in Mbeya Cathedral in the west of Tanzania. His charisma and warm personality have endeared him to many and Friends of Masasi and Newala wish him a blessed time as he faces the challenges of leading the diocese.